16) Atmospheric Composition: 96.5% carbon dioxide, 3.5% nitrogen, trace amounts of sulfur dioxide, argon, water vapor, carbon monoxide, helium and neon. 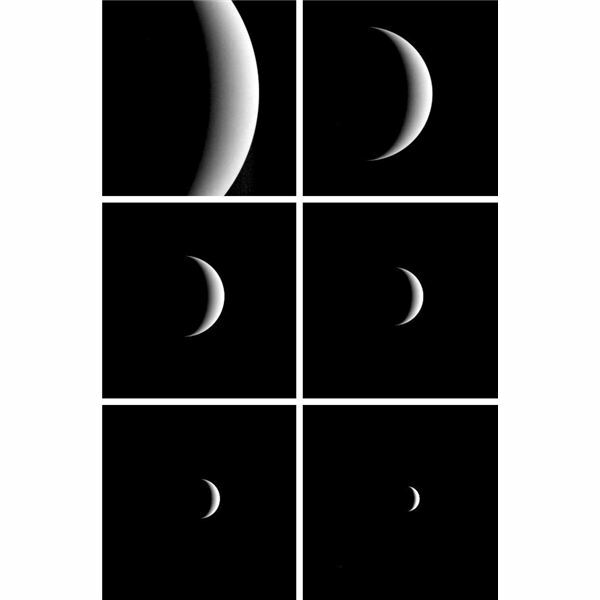 At left, a sequence of Venus images taken by MESSENGER as the craft departed the planet. At right, a computer simulated perspective view of Ishtar Terra, an Australia-size plateau on Venus that’s about 3.3 kilometers high. 1) Highly predictable temperatures. 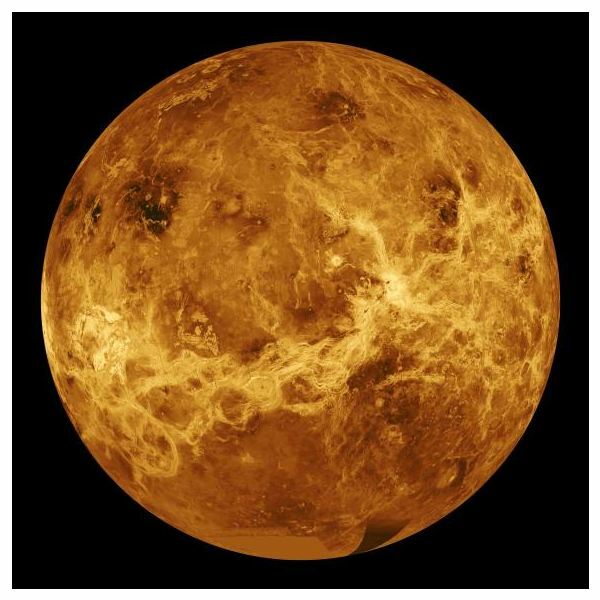 The temperature on Venus remains a steadily searing 462C or 864F (beyond the melting points of lead or zinc!) whether it’s day or night, at the equator or at the poles. 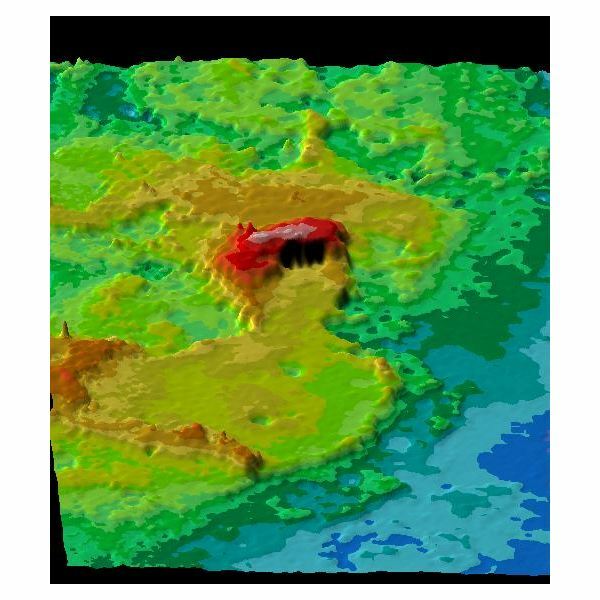 The only points at which temperatures are measurably different are at the peaks of Venus’ mountains, where researchers have detected a metallic "snow" that could be lead sulfide that has precipitated out of the atmosphere. 2) Unique sunrises and sunsets. Because of Venus’s retrograde rotation (meaning it turns clockwise instead of counter-clockwise), observers on the surface (if they could stand the heat and pressure) would see the sun rising in the west and setting in the east. 3) The culprit behind UFO reports? The UnMuseum says Venus is "the natural object most commonly mistaken for a UFO." That’s partly because it’s the brightest object in the sky after the sun and moon, and partly because its orbit closer to the sun makes it most likely to "suddenly" appear along the horizon around dawn or dusk.